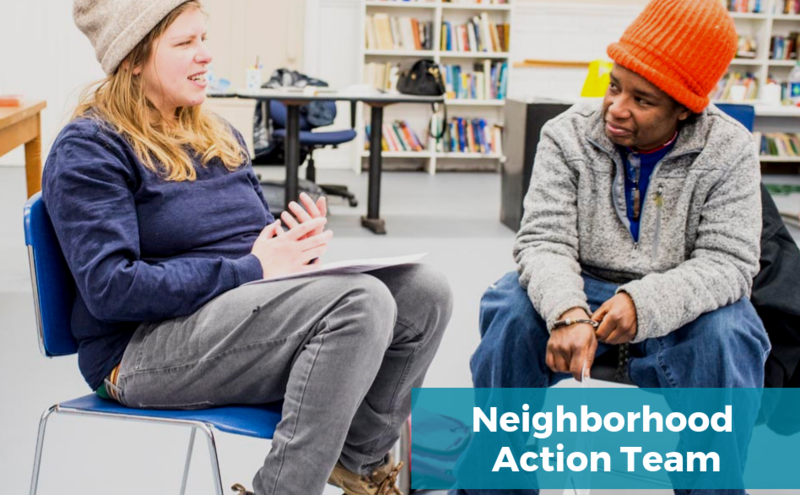 The Neighborhood Action Team (NAT) is a group of Lower Price Hill residents organizing to create community leadership opportunities, engage residents in community activities, and to lead community driven initiatives. Food Access Advocacy – NAT members are working to organize community engagement and action to campaign for needed food items at the new market on State Ave. NAT collected community input through surveys and a food event to gather insights on what items we need to have in the store and what price points are accessible to our family budgets. Affordable Housing and Economic Development Design – NAT members evaluate proposed development projects, give oversight and guidance to the affordable housing developments, and keep community members informed of development projects and proposals. Developing Resident Owned Businesses – NAT members are working to engage residents in developing business ideas and advancing resident owned businesses. Advocacy for Environmental Remediation – Lower Price Hill faces many challenges with environmental hazards in the soil, air, and in home contaminants. NAT is working to raise awareness of environmental concerns, seek our remediation opportunities, and advocate to agencies and government bodies to protect the local environment for residents.